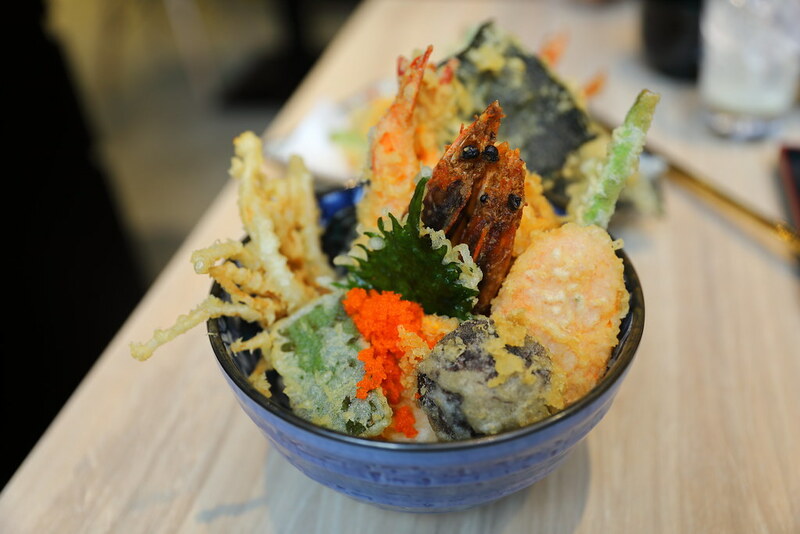 From the good folk behind Chir Chir Fusion Factory and Massizzim, the group has launch another new concept called Kogane Yama (Golden Mountain) at Bugis Junction offering tendon bowls. 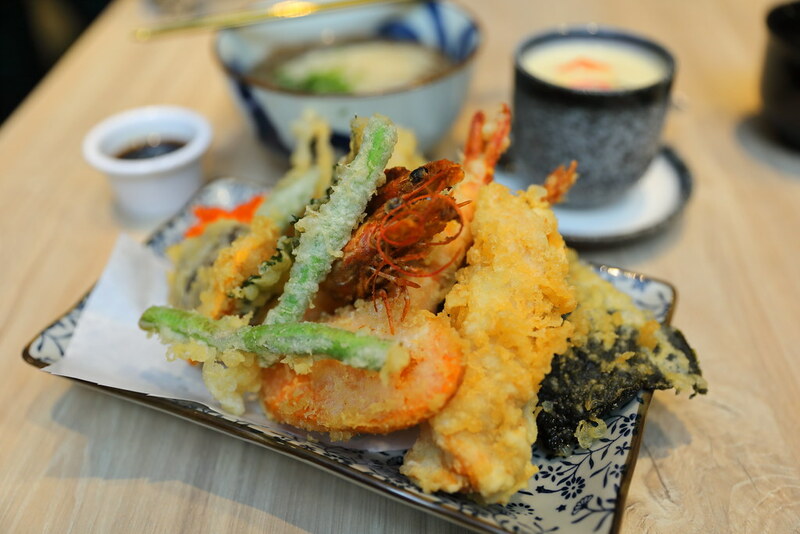 It got its name for the lavish heap of golden brown pieces of tempura, just like the scenic valleys and mountains in Japan. 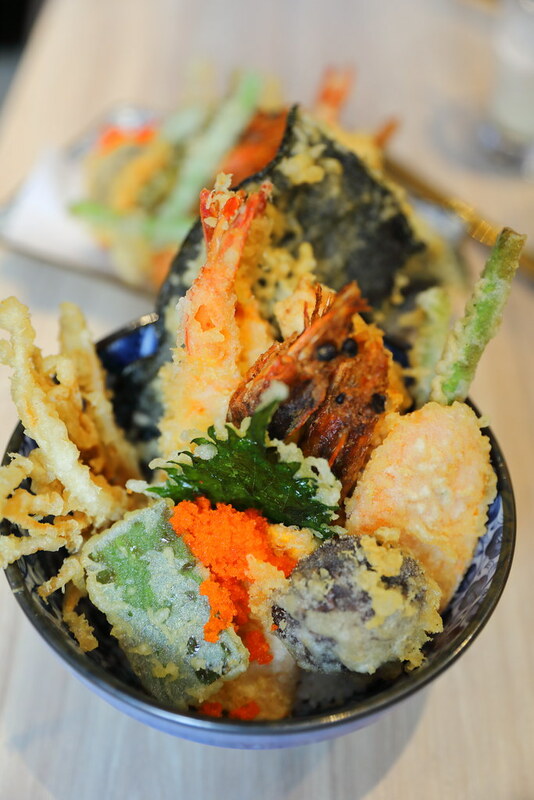 Kogane Yama offers 4 types of bowl. Diners have a choice of Mixed Bowl ($15.80), Prawn Bowl ($13.80), Chicken Bowl ($13.80) and Vegetable Bowl ($11.80). Instead of rice, diners can also replace it with either Udon or Soba for an additional dollar. In addition, diners can also select their sauces - non spicy or spicy (level 1 to 3). 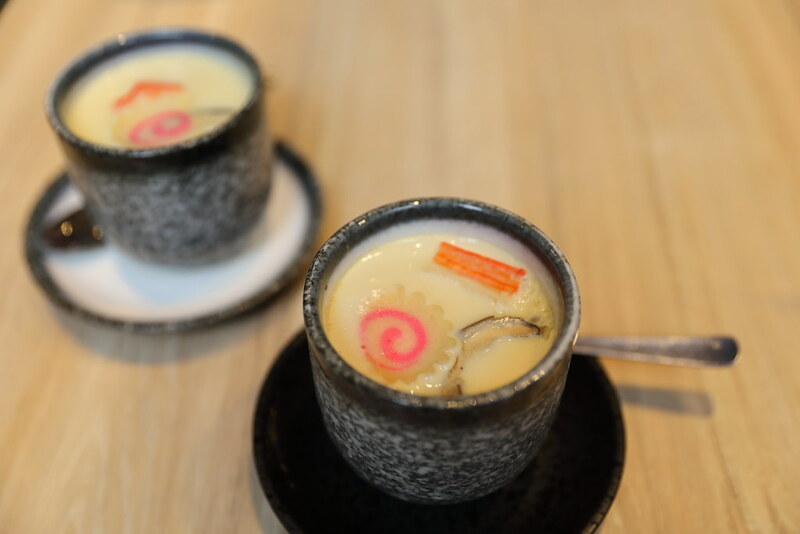 Lastly, you can complete your meal with add-ons such as Chawanmushi at ($2) and Miso Soup ($1.50). I tried the Mixed Bowl with Soba ($16.80) which comes tempura prawns, chicken fillet, long beans, carrot, shiitake and enoki mushrooms, sweet potato, green bell pepper, seaweed, shiso leaf and a dollop of ebiko. For those prefer a bite in their noodle may not enjoy the softness of the soba which has been steeped in a clear and fragrant dashi broth. 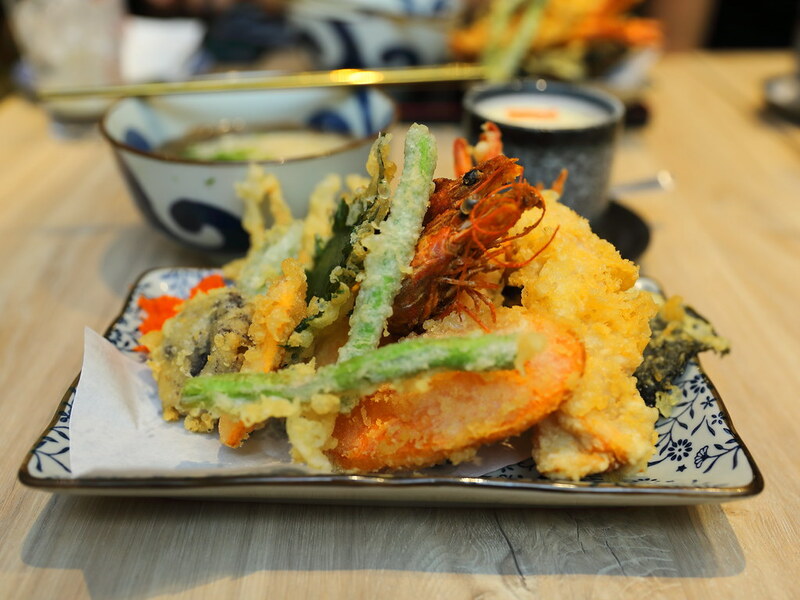 If you opted by the Mixed Tendon Rice Bowl ($15.80), then you will get a mountain of tempura stacked to the brim. 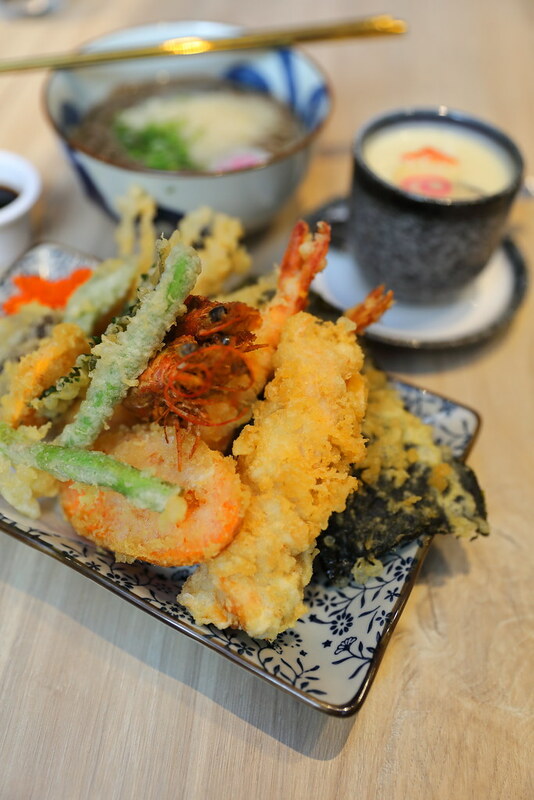 It is understand that the tempura is fried to golden brown using a fish seasoned batter and sesame oil. While the batter is crispy I felt it still missing that Japanese element in the bowl. I was telling my dining friends that I felt like eating a bowl of Chinese fried food instead of Japanese tempura. I actually like the concept of Kogane Yama where the choices are given to the diner unlike the current tendon establishments. However the food is still a far way comparable to these well known tendon establishments. I personally felt that the restaurant needs to improve on the batter and maybe even the oil used.